Having used Thrive Themes for many of my websites over the years, I thought now would be a good time to write a review about their WordPress products. I have tried many other WordPress themes, but I can honestly say that discovering Thrive was a turning point in my online business. This Thrive Themes review takes you through the company and their products, followed by six reasons why you should consider making the switch to this highly respected WordPress theme developer. In operation since 2013, Thrive Themes is a WordPress software development company founded by Shane Melaugh and Paul McCarthy. Both Shane and Paul have a long history in creating online businesses, with Shane being the marketing guru and Paul the tech head. The core idea behind Thrive Themes was to develop WordPress themes and plugins with a focus on conversion. At the time, the market was flooded with fancy looking themes with tons of features, most of which the average blogger would never use. What the marketplace was lacking was clean, conversion focused themes. The other issue Thrive Themes wanted to address was the limitations of the WordPress editor. Thrive believed bloggers needed a true WYSIWYG editor so that they could create content quickly and creatively. As such, Thrive Content Builder was born, later rebranded to Thrive Architect. It’s currently one of the most popular and most advanced WordPress page builders around. With quality products on offer and a solid marketing strategy in place, Thrive Themes has since its inception grown out to become one of the more respected WordPress developers in the industry. Thrive has developed a handful of WordPress themes with, as mentioned, a strong emphasis on conversion. I have used two themes from the Thrive Themes collection: FocusBlog and Rise. Both themes are easy to use and configure, are free from unnecessary bells and whistles and, most importantly, they are lightning fast. This very website, Blog Pioneer, uses the FocusBlog theme. As you can probably notice, this site has a very clean look and feel which I personally like. Thrive is not selling individual themes anymore as they are currently working on a brand new product that replaces all themes. This new product is a Visual Theme Builder for WordPress which will allow users to design their own themes. 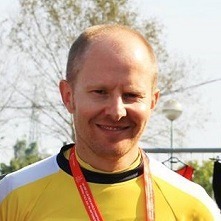 Very exciting times ahead and I will update as soon as I know more. Looking for a new theme right now and don’t want to wait for Thrive to release their Visual Theme Builder? I recently switched my site from FocusBlog to GeneratePress and am very happy. GP is a lightweight yet very powerful theme that will give your site an instant page speed boost. Check out my indepth review of GeneratePress. Thrive has also developed a large collection of WordPress plugins that you can either purchase separately or on a Thrive membership basis. As a Thrive member you will get access to all their WordPress themes, plugins and also Architect. One of their premium WordPress plugins is Thrive Leads, a powerful lead generation plugin that provides a complete list building and conversion solution. Thrive Leads also includes an A/B testing module and an advanced reporting and insights module. Their flagship product is Thrive Architect, a WordPress page builder that is currently one of the best in the market for various reasons. Formerly known as Thrive Content Builder, Architect provides a true WYSIWYG editor, meaning that you can see exactly what your page will look like in real-life while in design mode. Thrive Architect has an incredible set of features, which requires a bit of getting used to. But with a very intuitive user interface and tons of helpful how-to videos at your disposal, it doesn’t take long for any user to turn into a savvy web designer. So here’s my 6 reasons why you should consider switching your WordPress website over to Thrive Themes. Have you ever purchased a theme online and never received any updates after installing? Not even after several years of using it? Many people may not realize but WordPress themes and plugins should always be in ongoing maintenance. Over time, this can potentially have severe consequences. Not only can your theme quickly get a dated look and feel, not updating it may also result in compatibility issues with WordPress, plugins and HTML and CSS standards. With Thrive Themes you will always receive new updates to any product you have purchased in the past, whether this be a theme or a plugin. It’s reassuring to know that they will never stop improving and updating their products. Thrive Themes provides all the tools you need as a WordPress blogger to set up and build out your website. And while their themes and plugins also work really well with tools provided by other developers, it’s just as easy to stick with Thrive and have everything from one and the same reliable developer. 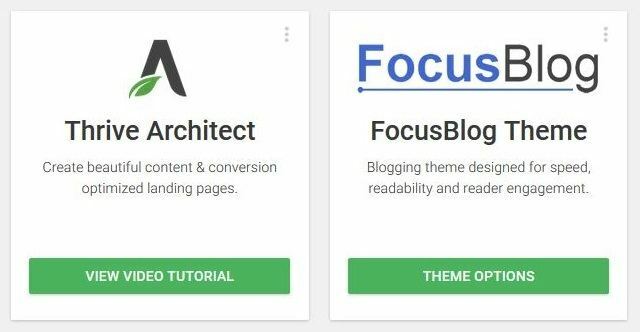 A theme, a landing page builder and a lead generation plugin are for many the core foundation tools needed to set up a professional WordPress blog or website. You can buy separate licenses for these tools, or you can sign up for Thrive Membership. With Thrive Membership you get access to all of their themes and plugins, to be used on 25 of your own websites for a very affordable price of $19 per month, if paid annually. Thrive also offers a more expensive Agency Membership package that allows you to use their tools on websites of clients. The conversion-focused tools developed by Thrive will suit any type of blogger, but in particular affiliate marketers and sellers of digital products will greatly benefit from using the Thrive Themes product suite. For a software development company such as Thrive Themes it’s extremely important to have a solid and well-functioning support system in place. I have always found Thrive’s customer support to be very good. The response time is usually acceptable and most support issues get resolved in a timely manner. One of the criticisms I’ve heard and read a number of times is that their support team too easily refers users to the knowledge base or tutorials in order to get things resolved quickly, without actually properly looking into the issue that was reported. I’ve never had this experience myself but I can understand that this can sometimes happen, especially during busy times. What works best in these cases is to always explain your issue as detailed as possible, ideally supported by screenshots. As a new Thrive customer you will get access to the Member Dashboard via the Thrive Themes website where you can find your license keys, download items and product tutorials. The Member Dashboard is also home to the Support Forum where you can submit support tickets and read support tickets submitter by other users. Support tickets are grouped by product, making it easier to navigate through them. Also accessible via the dashboard is Thrive University, an extensive library of useful courses around building successful online businesses (see below). In addition, the Knowledge Base within your dashboard is a huge resource of tutorials, general documentation and troubleshooting tips. In addition to all of the above, Thrive Themes also a very active blog that regularly gets updated with new content. And most of Thrive’s blog articles are actually very informative and practical. 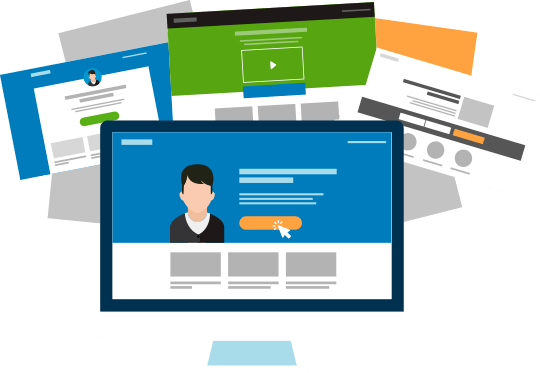 How many WordPress theme developers also give you access to a huge library of online marketing courses in the form of videos and guides? Not many. Thrive University is exactly that. The courses in this library are not so much focused on Thrive’s products. Instead they dive deep into all aspects involved in building successful online businesses. It’s an excellent place to learn everything you need to know about things like website design, list building, landing pages, effective copy writing, building a sales funnel, maximizing conversions, and much more. So much work must have gone into building this University, and as a Thrive customer you get access to all of this at no extra cost. What draws me to the FocusBlog theme is the simplicity of it. The theme gives a website a very clean look and feel, while still providing essential features to customize and prettify content. There are so many WordPress themes out there that claim to include tons of features. The issue with having so many features is that it typically makes a theme very heavy which can negatively impact the performance of your website. The other problem is that the more features you have, the more that can go wrong. There is a potential for more bugs, more compatibility issues, styling errors, etc. In addition, most of these fancy features are never being used. So why pay for it? The themes developed by Thrive also have a very intuitive back-end. It’s very easy to navigate through the dashboard settings and to configure the theme the way you like it. Plus, you can relatively easily customize the themes by adding your own styling code. A feature I’d like to highlight is Image Optimization. Each Thrive theme has an inbuilt module for image optimization that allows you to apply either lossy or lossless compression for each image you upload. With site speed becoming increasingly important, it’s good to know that with a Thrive theme there is no need to install another plugin to optimize your images. It’s all taken care of. Similarly, Thrive themes also have the option to lazy-load comments. Activating this option means comments will load only once the visitor scrolls down far enough to get to the comment section. If your site typically receives a lot of comments, this feature can speed up loading time. As most WordPress bloggers will know, the default editor in WordPress is fairly basic and is not able to show you exactly what your page will look while in design mode. Thrive resolves this problem by offering a WYSIWYG WordPress page builder that essentially replaces the default WordPress editor. Thrive has managed to create a true WYSIWYG WordPress editor that is fast, reasonably lightweight and easy to use. There is definitely a learning curve, but that applies to all page builders out there. It simply comes with the territory. 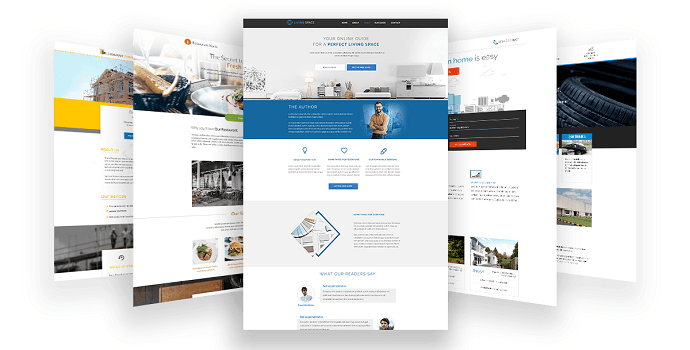 One of the best features of Thrive Architect is that it comes with a great amount of ready-to-go templates for landing pages. Choose a template, make some adjustments, change the wordings and you can have a professional looking page within 30 minutes. What’s great is that Architect’s user interface has become a lot more intuitive and easier to use since the upgrade from Thrive Content Builder (TCB) in 2017. While already powerful, TCB’s user interface did look somewhat dated. And in order to stay competitive in this tight market, a re-build was needed. However, the upgrade from Content Builder to Architect in 2017 was initially not well received by their customers, including me. Thrive Content Builder was/is a hugely complicated piece of software and doing a complete re-build of complicated software can potentially result in a huge amount of issues. So when Thrive released the rebranded Architect to their customers, all hell broke loose. Okay, slight exaggeration, but the Thrive support team got inundated with an endless amount of reported bugs. Not a good look. I also raised a few issues with Thrive’s support theme and I must say that had I lost some of my trust in Thrive after the Architect upgrade. But the good thing is that Thrive acknowledged the problems with the upgrade. For several weeks, they worked around the clock to get everything resolved, and Thrive Architect is now a very stable, feature-rich and super powerful WordPress page builder. While Thrive Architect is an integral part of the Thrive ecosystem, it can also be used as a standalone plugin working with a third-party theme. Hopefully this Thrive Themes review has given you some useful insights. If you’re looking for a new WordPress theme, I strongly recommend trying out one of the themes developed by Thrive. I have never looked back since making the switch and I’m sure you won’t either. Once you’ve purchased a Thrive theme and you’re happy with it, it’s good to also check out their other products. In particular Thrive Architect is an excellent addition to your theme, allowing you to quickly produce visually appealing content. 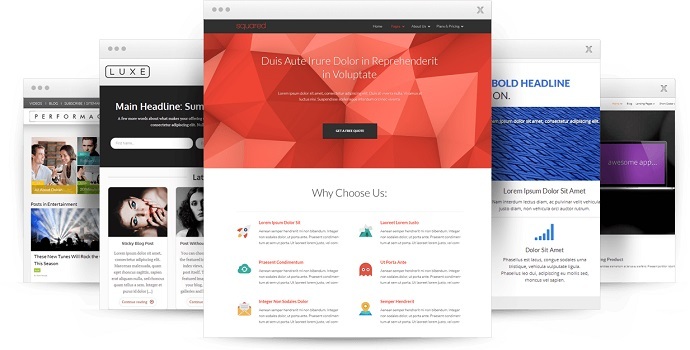 Summary Thrive Themes are the WordPress theme and plugin developer behind revolutionary WordPress products such as Thrive Leads and Thrive Architect. Their products can be purchased individually or as a bundle in the form of a monthly subscription. As a Thrive customer you will get access to a Member Dashboard where you can download products, submit support tickets and browse the knowledge base for product information and tips. I like your review of Thrive products in general, however, I had a dilemma in currently using thrive themes like focus blog even though I subscribed to Thrive Membership. You did mention that Thrive Themes is no longer for sale unless you are a member and it appears the theme builder product in beta will eventually take over. The thing I would like to make clear is according to Thrive Support, updates, and support for Thrive Themes will end sometime in 2019 which will make it vulnerable to security issues and bugs over time. Do I still use Focus blog on my new site and convert to a different theme later? Sounds like a hassle. I wonder how big a deal is it to convert to a new theme. I have been eyeballing generate press, Astra, wp ocean for an affiliate marketing review site. Hey Dan, I’m in the same boat. At this stage I’m not sure yet whether I should try out the new theme builder (and possibly convert FocusBlog to this theme builder), or if I should convert to a whole new theme. I’ve always been happy with Thrive but I don’t know enough about the new theme builder yet. I just want my theme to be light and simple, I don’t need fancy bells and whistles. That said, I’m sure you can still use FocusBlog for many years to come. Even though Thrive won’t support it anymore, it won’t fall apart anytime soon. But if you’re starting a brand new site right now, I would choose a different theme, such as Generate Press.